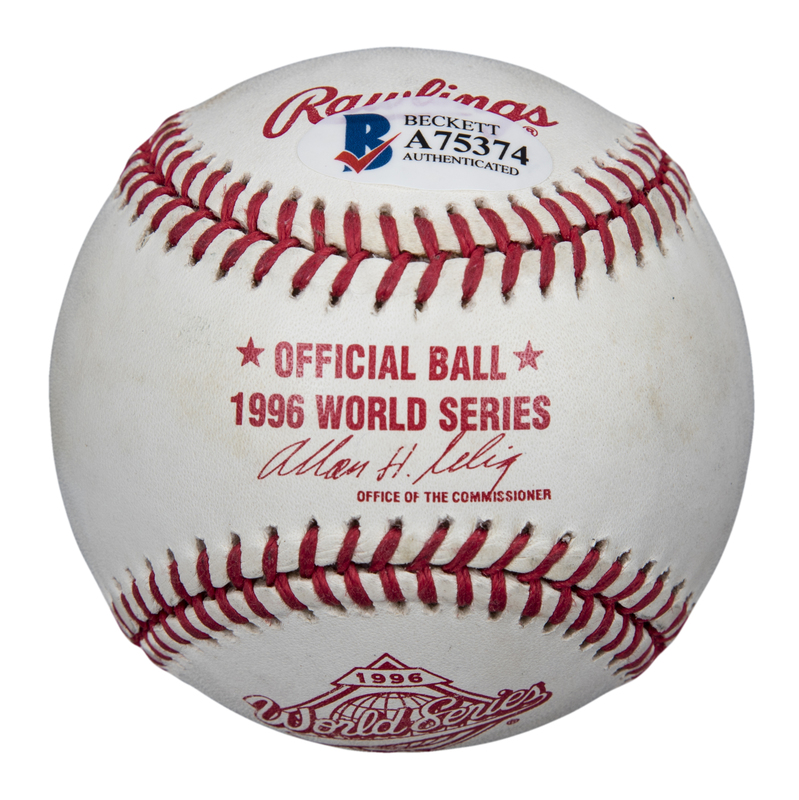 Derek Jeter has signed this Official 1996 World Series Allan H. Selig baseball. Jeter, the New York Yankees star shortstop from 1995 to 2014, won five World Series with the Yankees including the 1996 Fall Classic. 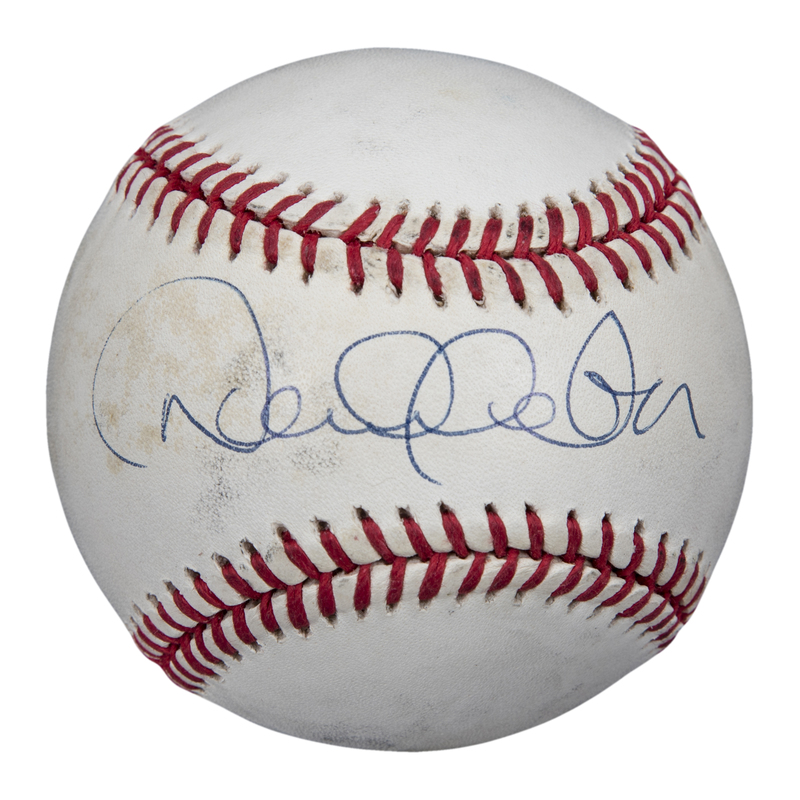 Jeter was the 2000 World Series MVP and a 14-time All-Star with 3,465 hits to his name. Jeter has signed the sweet spot of this baseball in blue pen. 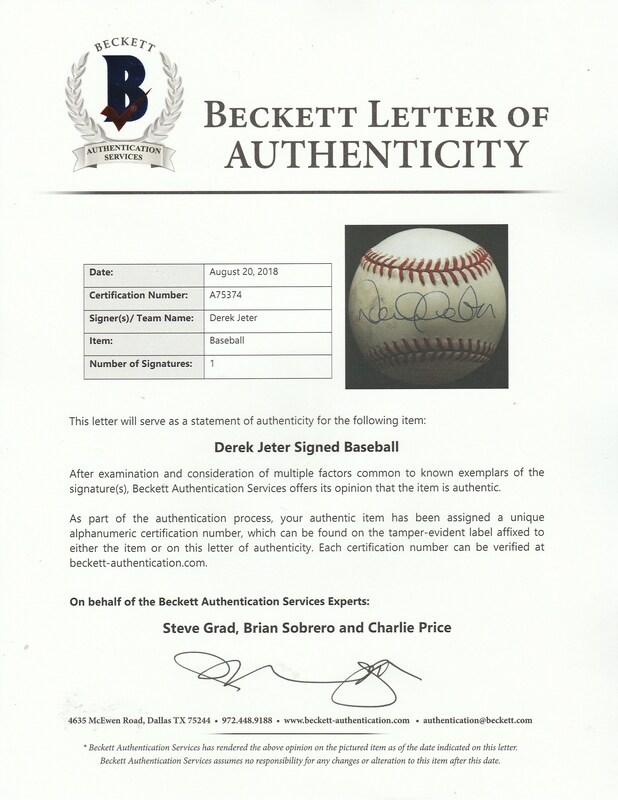 This ball comes with a LOA from Steve Grad of Beckett Authentication Services (A75374).